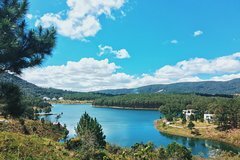 If you have an extended layover at the Da Lat Airport or staying in town, why not consider getting out with some fun activities? 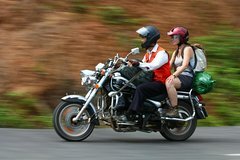 We list a few here and there are many more on Da-Lat.LayoverIdeas.com. 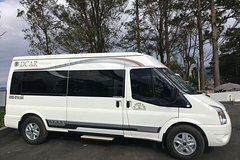 • Pick up from Da Lat International Airport.<br> • Private car, taxes, fuel surcharges and service fees included<br> • Transfer to the airport. Get dirty when cycle in the slippery muddy trails and have fun falling in the mud. Approach the tracks which most vehicles could not access and get through monkey bridge (single bamboo bridge) with your bike. 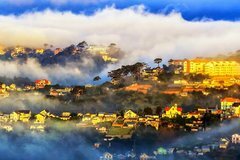 Discover one of the most beautiful cities in Vietnam on a full-day scenic tour of Da Lat .<br>From Nha Trang, we will pick you up at the hotel and then heading to Da Lat City. On the way to Da Lat City, we will pass by Coffee Farm & City Flower. And then, we will drive to the Truc Lam Zen monastery where you can see more than 2,000 different varieties of flower. Bao Dai King and Datanla Falls will give you a good memory. 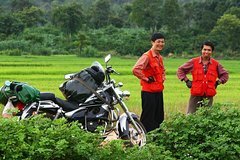 Take this full-day journey and enjoy your time riding through the Dalat countryside with your professional guide. See breathtaking views of mountains, forests, farms and villages as you continue your journey. 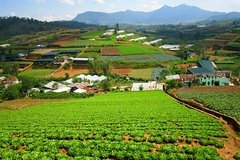 See the Elephant waterfall, a flower farm, the Happy Buddha, Chicken Village, and more before heading back to your Dalat City accommodations.